Best Mouse Trap Reviews: Do it Once, Do it Right! Find The Best Mouse Traps & Avoid Wasting Money! When you have a mouse infestation, your first instinct may be to immediately phone a pest control professional to take care of the problem. But that decision in itself is a problem – too inconvenient and too costly! So, if you want to know more about how to prevent a mice infestation, read this page. Otherwise, let's get into the cheaper alternative in getting rid of these pesky little rodents, mouse traps! Most house calls will likely set you back a couple of hundred bucks for an initial assessment. And then, once they have set up bait stations, they will charge you another fee (probably a hundred bucks or more) every time they visit your home to empty the trap and reset it. This is not something that you'd want to keep doing if you have an infestation in your property consistently. Your bill will be stacking up really big, really fast. This is just unnecessary expense on your part that you could be spending else where. So, that is why knowing which mousetraps to buy and how to set it up is so important these days. It's such a money-saver! By the time your mouse problem is under control (for the time being), you’ll probably have spent a thousand dollars or more for hiring a professional - ouch! Continue to read this article to see the 5 best mouse traps, but in our honest opinion (and in the opinion of thousands of happy customers on Amazon) the number 1 rat trap is the: Snap-E mouse Trap! 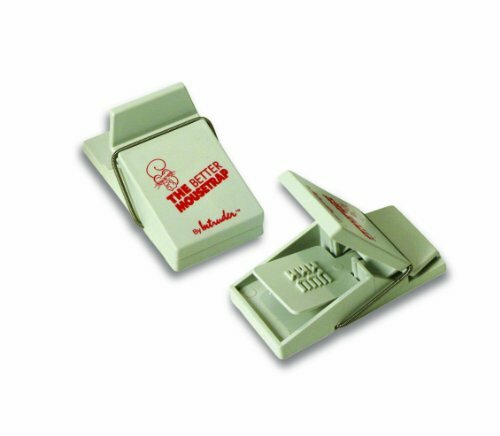 Snap Mouse Traps: In use for over a 100 years, these are simple spring-loaded devices that have a baiting-platter and “kill device”, which is either a spring-released kill bar or a serrated “kill jaw” which powerfully snaps back on the rodent that catches and kills it. It's an incredibly powerful product, and it's quite efficient in catching these little pests. Electronic Mouse Traps: Battery powered, these devices use bait to attract and catch the mouse inside them. Then, they kill the critter by electrocuting it. The current delivers a humane kill, especially when compared with other types of rat traps available today. So, if you are an animal activist, then this model is the right one for you! Multiple Catch Traps: These devices are used to catch and hold multiple mice in a single contraption. They do not kill the rodents. Instead, these are ideal for catch and release infestation control operations. Once the mouse enters into the trap, it has no way out except to be released by human intervention. 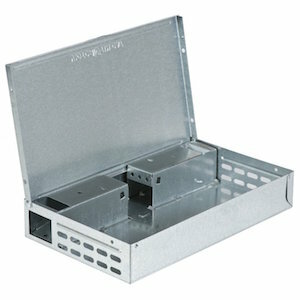 ​Mouse Baiting Traps: These are containers that hold specially developed rat bait that act as a slow poison. Once the rat has ingested the bait, it is able to slip out and escape from the “trap”. The slow-acting poison is designed to kill the mouse away from the area where the poison is put out (usually away from the home). Each of these products has its place in an overall mouse infestation control strategy. However, if you are squeamish about dealing with mice – either dead ones or those caught alive, then Baiting stations are the best option for you because you don’t actually see the results of your mice-control efforts, yet you enjoy a ﻿mouse-free attic and environment. Make sure to have enough mouse traps.​ In order for this strategy to be effective, the equipment will need to be placed in each of the places that have high activity of mice in them. 1) Are you okay with having to dispose of the bloodied carcasses of dead mice? Snap mouse traps are highly effective, but they often leave a bloody mess. You need to physically unlock the dead mice and dispose of them. Then, you need to wash the equipment before reusing it again. It an effective way to deal with these little pests but it is not something that people with weak stomachs are able to deal with on a regular basis. 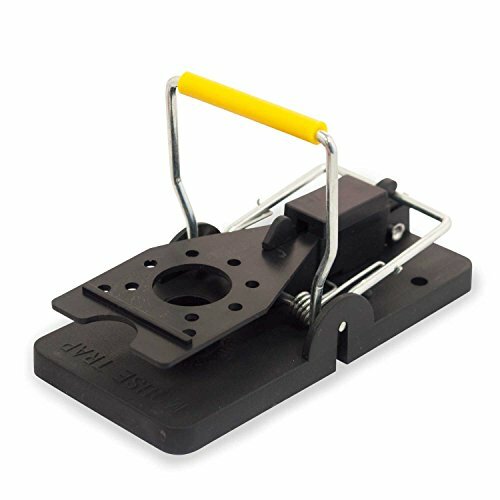 There is a huge reason why it is a popular mouse trap, it gets the job done, it does it a little brutally but it definitely serves its purpose. 2) Does the sight of live mice disgust you? With Multiple Catch traps you’ll have to physically remove the trap from your house and take it to a place where you want to release the mice. If the sight of mice scurrying around is not your cup of tea, then these things may not be the option for you. Although, this mouse trap has been incredibly popular amongst people that are actively involved with animal rights groups and it has been effective in catching the little pests in your home. As long as you follow the instructions for the live traps then you should have no problems using it and making sure that the little ones do not escape from you. 3) Are you a conservationist? If the answer is yes, and you believe that harming mice isn’t morally justifiable, then Snap Traps, Glue Traps and Baiting Stations aren’t what you want. A Multiple Catch trap is more likely what you are looking for when it comes to catching these animals. These sort of devices are great and effective for catching small rodents in your home, so if you are looking for a humane way to get rid of the animals then this is what you're looking for. 4) Will you be away for long periods from the location where the traps are laid? 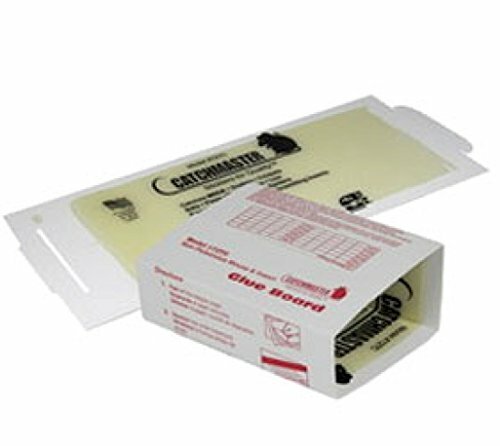 Snap, Glue, Electronic, and Multiple Catch Traps will either kill or catch mice and hold them at the location of infestation for human disposal intervention. 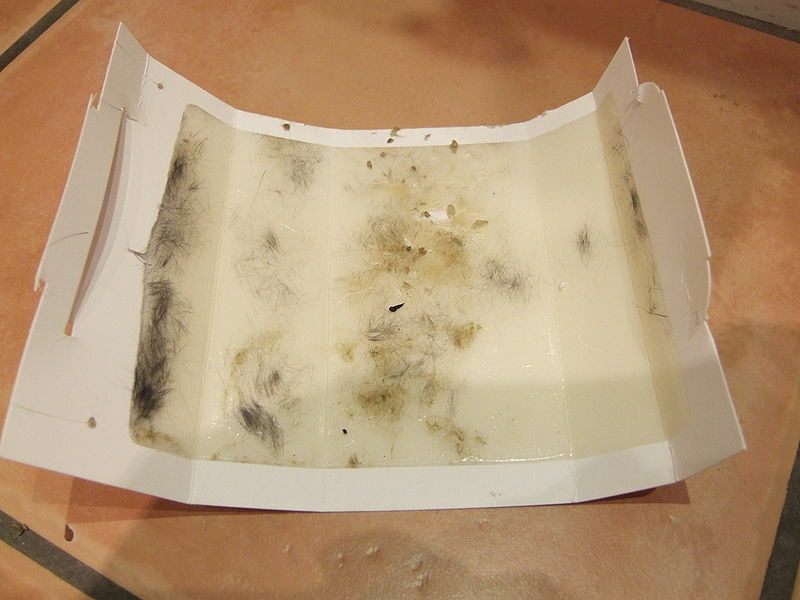 If you plan to be away from the location for weeks or months on end, you may return to a foul smelling home filled with the decaying corpses of mice. You may require a different trap if this is the case, you never want to have to deal with the odor of a dead rat as that is much more work than it has to be. To address such a situation, you may want to consider a Baiting Station instead of a trap. That way – hopefully – mice won’t die on premises, and you don’t have to worry about disposing of dead mice upon your return home. You can usually find out their hiding places if you can hear the mice making noises in the your home​ or attic. 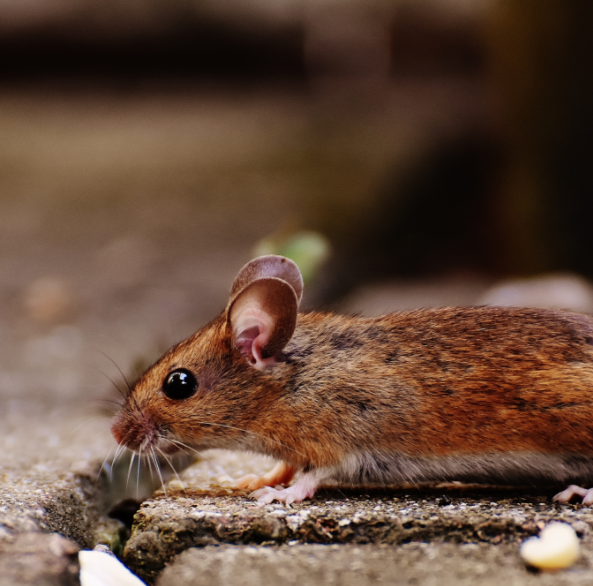 They are usually running inside walls or dark corners of your house, the more stuff you have lying around your property, the more places these mice can hide in. You don't want that because that means there is more room for them to populate and it makes it that much harder to stop. When buying a mouse trap, you also need to consider the cost of operating it. Usually, Snap Traps are disposed off with their kill. Baiting Stations need to be replenished with specialty bait. Electronic Traps need battery replacements. Consider these costs before making your purchase decision. There are a number of innovative mouse traps available for every unique infestation situation. You will find them on this page, we have gathered the top products in 2018 and compiled them all on this list of best mouse traps for at-home use. There are electric and snapper ones on here so you will definitely have good options for ones that will work for your taste in catching these little buggers from destroying your home. There are a few criteria included in this review, they are; durability, effectiveness, usabilty, pricing, and over quality. The advantage is that its kills can be easily disposed, and it can be quickly cleaned. Since it is a Snap trap, there will likely be a bloody mess each time a mouse is caught and killed. Definitely, one of the messier mousetraps out there but don't be discouraged because it probably the works the best amongst all the available products online. I'd vouch for Snap-E mousetraps any day of the week. If you are squeamish about bloody mouse carcasses, then this easy-to-deploy plastic and steel trap is an ideal choice. Simply squeeze the conveniently designed lipped-handle back, and the trap is ready for use. Its large bait area makes it simple to place your choice of bait. Ideal if you don’t wish to deal with the disposal of dead mice and rodents. This model is designed to be reused multiple times for years. It can be opened, and refilled with bait periodically. Its pet-safe design means pets (and kids) won’t easily access the bait. A great option for someone who has accepted that they will be battling with mice for a while (in some areas they will never completely go away - especially in large cities) and does not want to keep buying mouse traps. 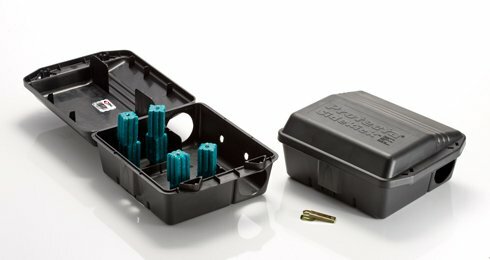 Also a great option for you if you do not want to deal with a bloody mess left from a typical snap trap. This is the classical, vintage Snap trap design that has been in existence for over a hundred years. However, its wooden and metal design makes it compact and easy to deploy in confined places. Since you actually see your results, you’ll have visible proof that the mice have been eliminated. In most cases, you may not want to reuse the equipment, and that could add cost to dealing with a long-standing or prolonged mouse infestation. While the boards do trap mice, they will not kill them. This leaves the rat to suffer a slow and painful death from hunger and dehydration if not disposed off quickly - so make sure you inspect daily. A great option for someone looking for a more humane (and less messy) solution.